Eureka Springs, Arkansas... A Hidden Jewel! 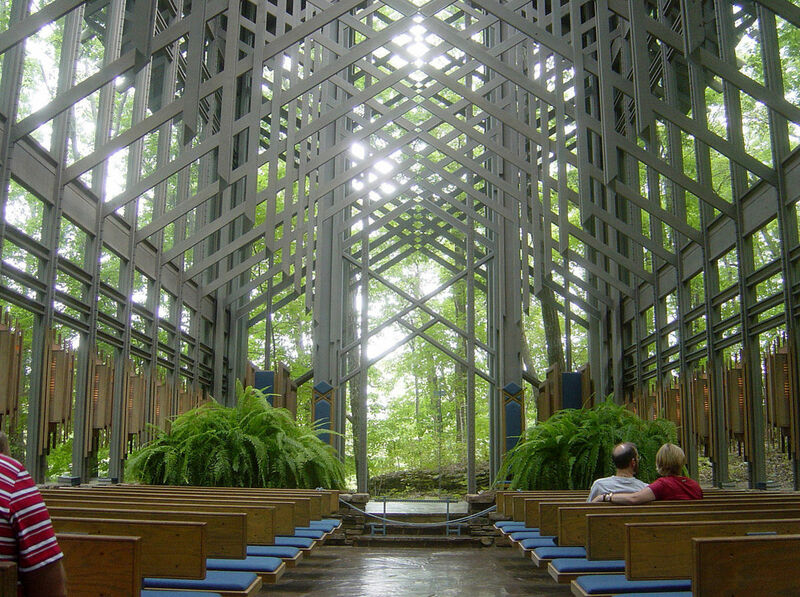 Known as a Victorian Mountain Village by the locals, Eureka Springs Arkansas is a year round wonderland for family fun and activities of all kinds for all ages to enjoy with hidden wonderlands throughout! Relaxation and Enjoyment FOR ALL!! No matter if you are someone wanting to relax, be a 24-hour-party-animal, or a mixture of the two - Eureka Springs, Arkansas has it all! From art, fine dining, wonderful night spots, eclectic music, outdoor activities, one of a kind attractions, and lodging that ranges from luxurious to rustic. It's hard to think anyone would ever get bored here. In this article, we will review some of the most well known attractions and "hot spots" found while visiting this wonderland. 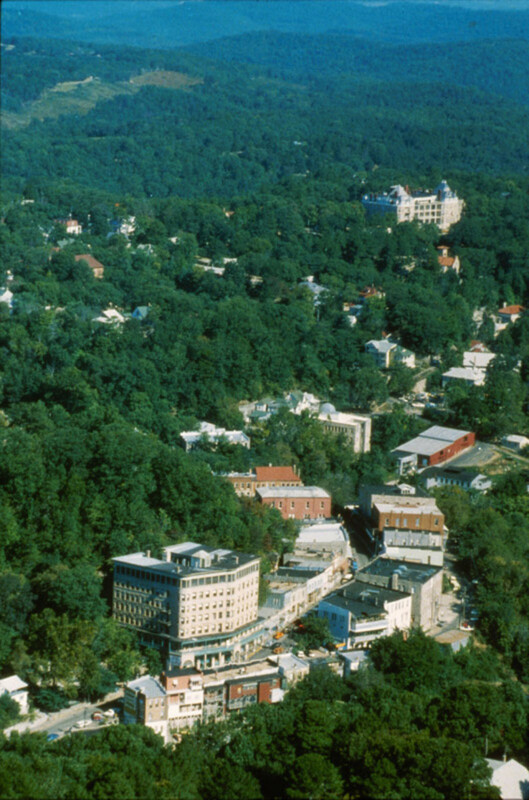 Where Did the Name Eureka Springs Arkansas Come From? 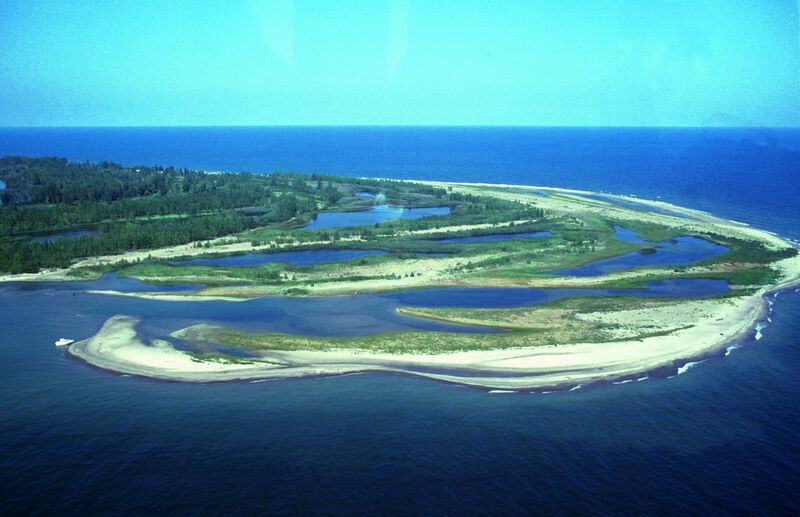 There are sixty three natural springs in the current city limits. These springs have long been thought to have healing properties and were first discovered and used by the Indian tribes living in the Ozarks area. 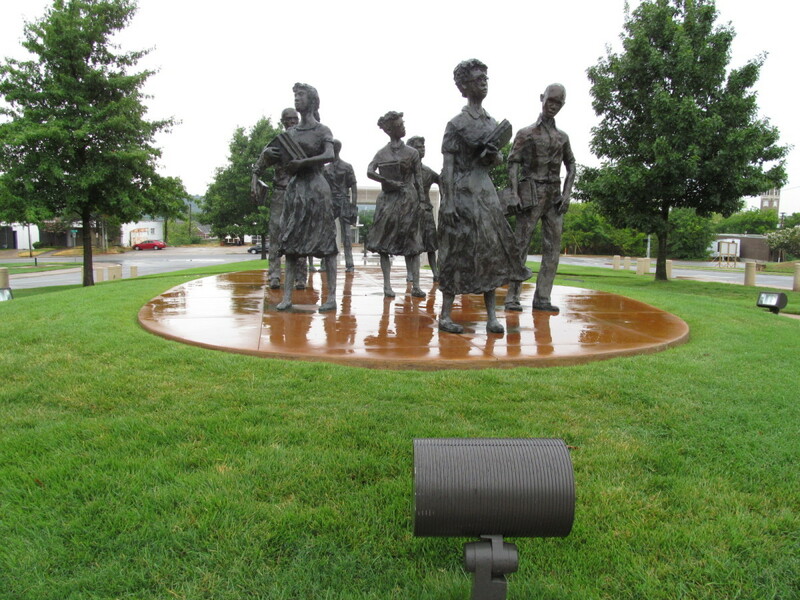 According to the plaques in town the first white settler to the area is thought to be Dr. Alvah Jackson who used the "healing waters" to cure his son's eye ailment in 1856. 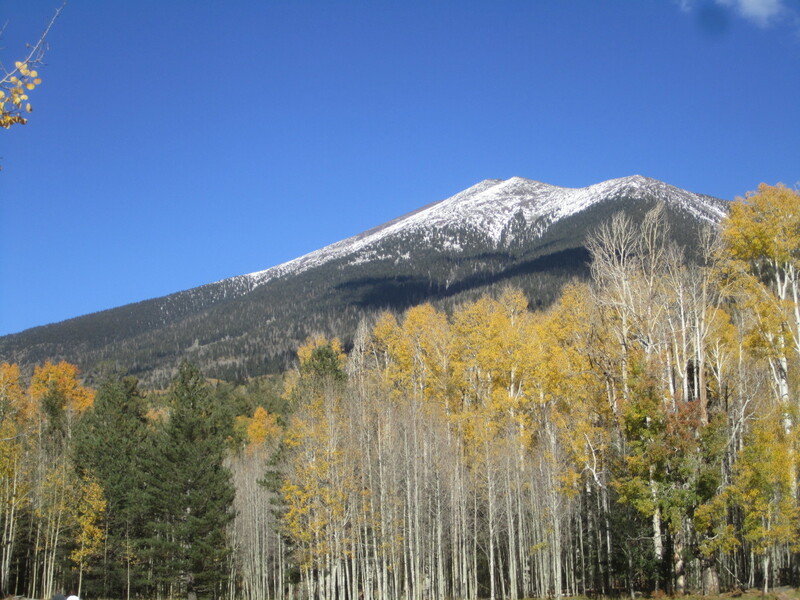 In 1879 J.B. Saunders, friend and hunting partner of Dr. Jackson was cured of a crippling disease after visiting Basin Spring. 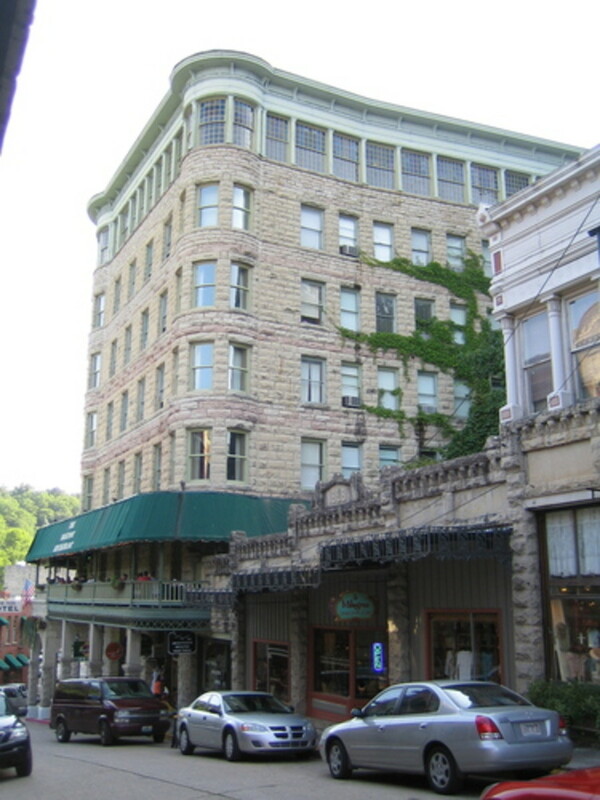 The name Eureka Springs is attributed to Burton "Buck" Saunders, son of J.B. Saunders, after suggesting Eureka for "I found it" and Springs, for the healing springs in the area, literally meaning "I found springs", thus on July 4th, 1879 the town of Eureka Springs was born. OK, so your going for a visit - First thing to secure is accommodations. Boy do they have them to choose from! You can choose anything from a Victorian style bed and breakfast, spending the night at one of the most famous haunted hotels in America, take advantage of one of the rustic cottages or cabins, or if your on a budget stay at one of the inn's or motels in town. You can even spend the night in a tree house or on a safari with tent housing... It's all there! For this article I am only going to highlight two hotels because they are not only great places to stay, but are also two of the "hot spots" to visit as well. 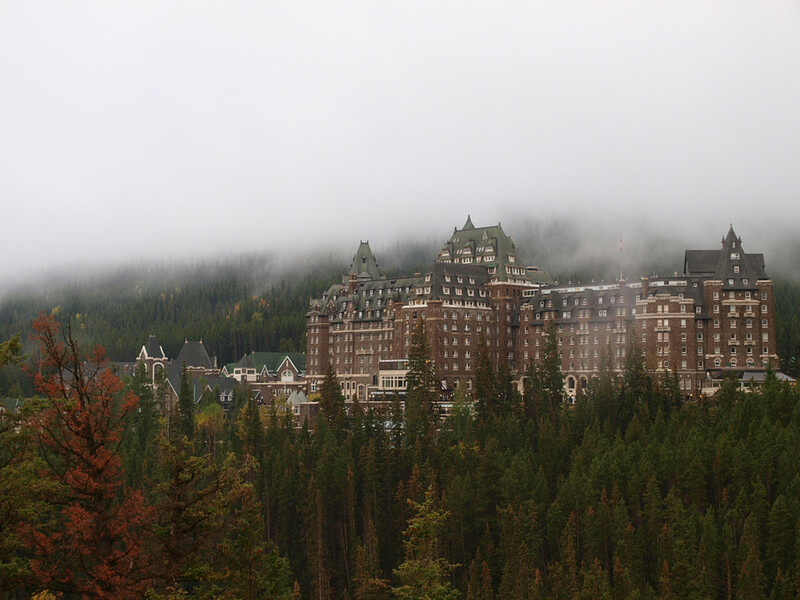 The hotel is one of the more popular places to stay and is also one of the most famous - but be warned if you stay there, you might just end up with an extra guest staying the night with you in your room. This hotel is reported to be HAUNTED!! 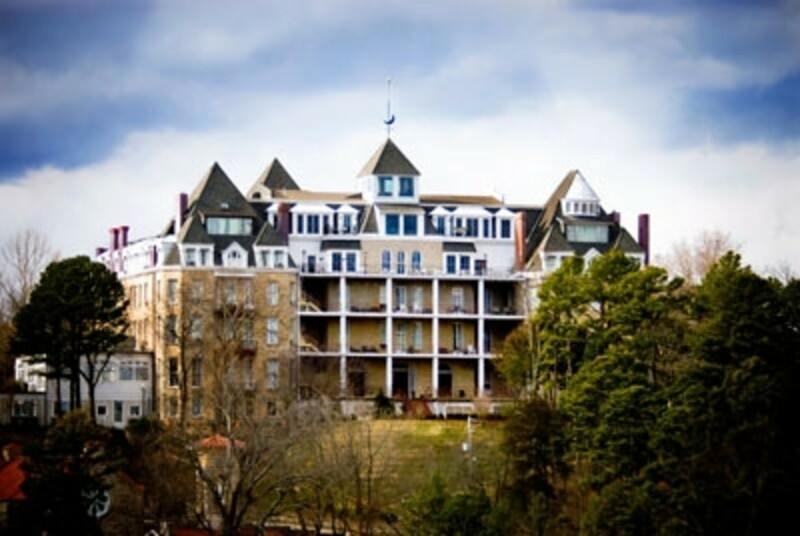 Built in 1886, the Crescent Hotel has been featured on NBC "The Today Show", A&E's Haunted Road Trips, USA Today and the Bio Network's My Ghost Story, and has even been investigated by the Sci-Fi Channel's Ghost Hunters. Needless to say, it has a history to be told. Even if your not staying there, take the time to go up and look around. There is even a ghost tour that they give at the hotel. I have to admit - it can be an experience all on it's own! 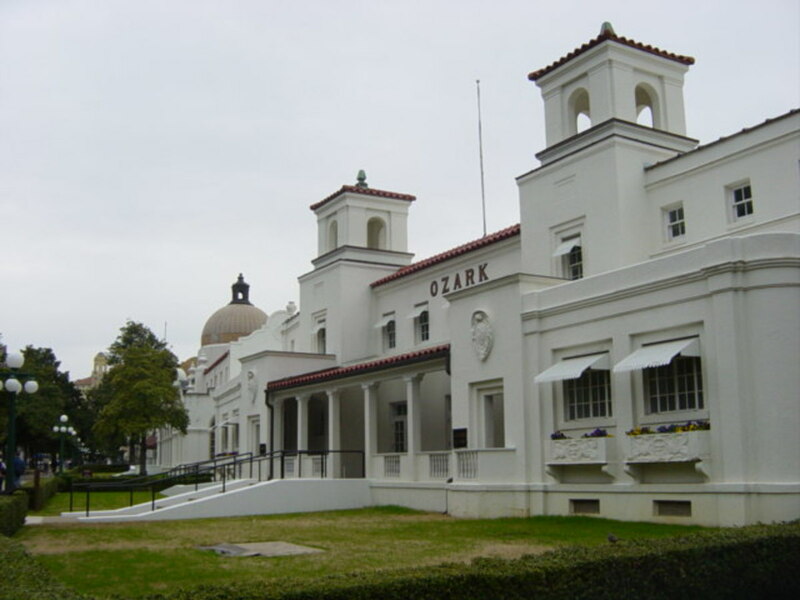 The famous Basin Park Hotel is the next stop on our excursion. 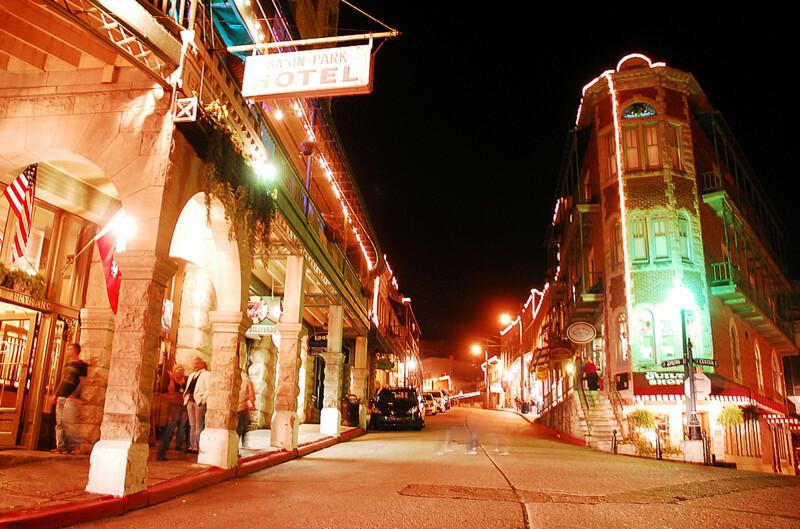 Located in the heart of downtown, this hotel is also reported to be haunted. 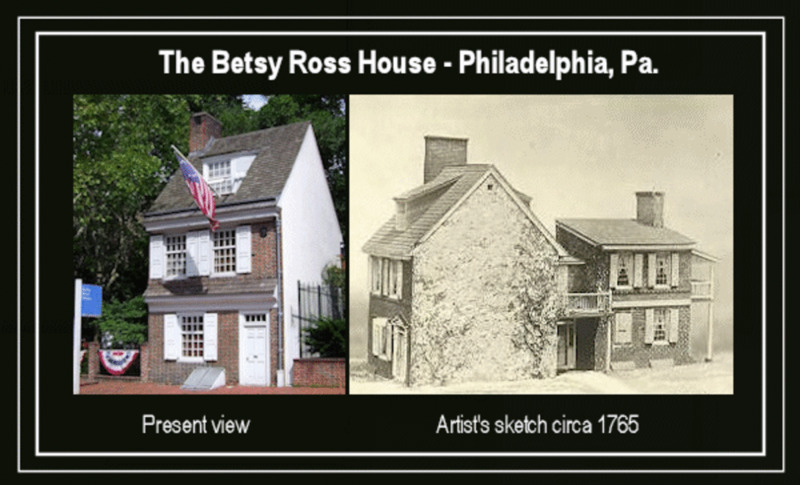 It too has a dark and sinister history of reported ghost sightings and gives tours at night for the brave at heart. Built in 1905, this hotel was designed in the turn-of-the-century "mission style" and has a wide variety of room types catering to everything from romantic weekend get-a-ways to conventions and family reunions. The hotel also features a wonderful restaurant on its second floor which has balcony seating to enjoy the view and activities on the streets below. One of THE places to be, especially during any festivals or parades - get there early though as seating is usually in pretty high demand on such days. The Basin Park Hotel is a great place to stay AND play as it is right in the middle of all the action. Exploring the "Underground Eureka "
Did you know that Eureka Springs, Arkansas has an underground layer to it? If you didn't, don't feel bad because very few people know this about the town. The locals call this area the "Underground Eureka" and it has some GREAT shops and restaurants in it. Several years back the town was having problems with flooding due to underground springs that run through the area so they "raised" the town up one whole level, leaving another hidden level below it. When walking around the town, you'll notice stairs between buildings going down to what you might think is just the street below, but it's not only a short cut , it also houses entrances to some of the best hidden spots in town. There are shops and restaurants that can only be accessed by these stairs so be sure to be adventures and "snoop around" - you might just find something worth the effort down there. 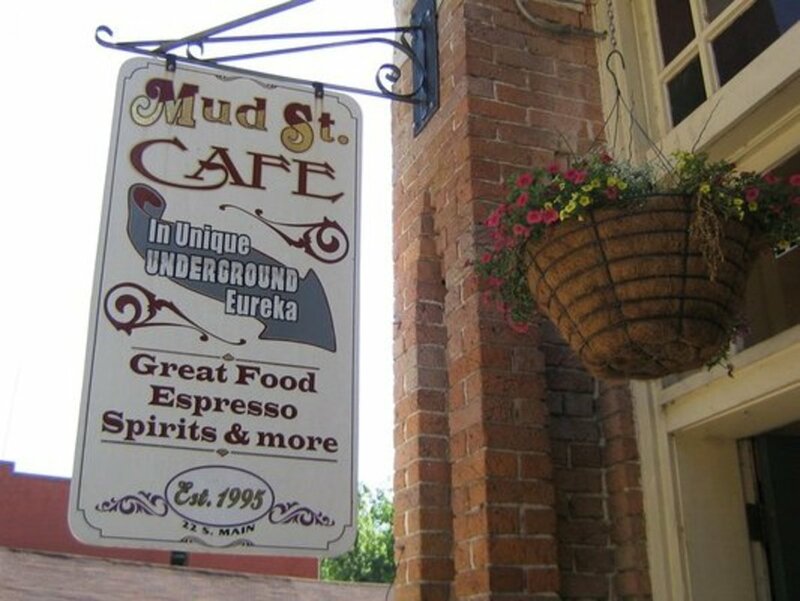 One of my favorite "Underground" hot spots is a little restaurant known as The Mud Street Cafe. 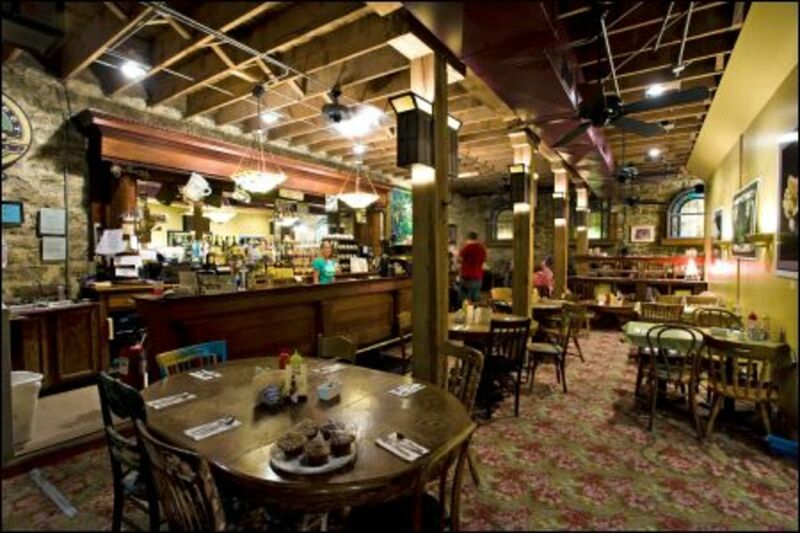 Built in 1888, this restaurant has great food mixed with an eclectic atmosphere and is where the "locals" go for breakfast or lunch. Next you'll want to do a "walk around" through the downtown area - it is really the best way to see all the sights and visit all the shops. Don't forget to visit all the area springs that are in town as well. There are plaques located all throughout the town to give you a lesson on Eurekas background and history, complete with pictures. 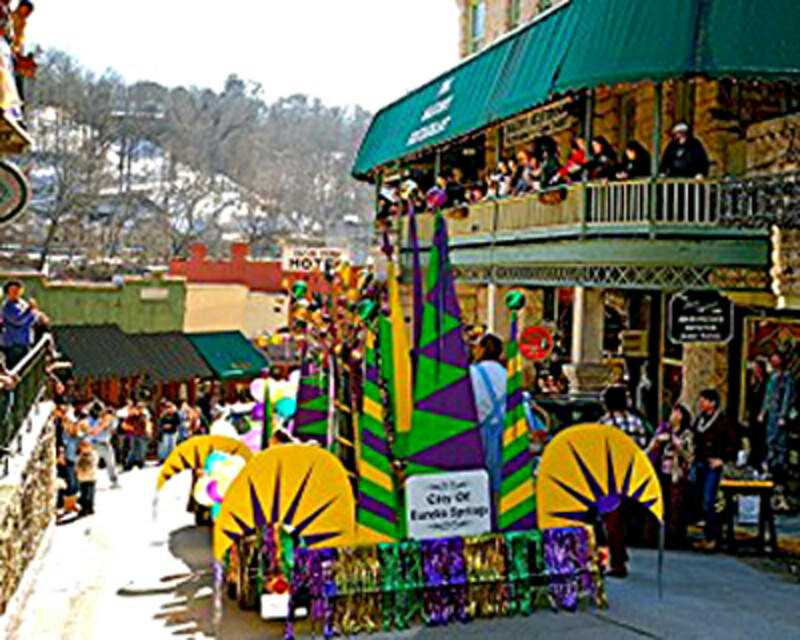 Mardi Gras in Eureka Springs?? DEFINITELY!! If you've ever wanted to experience Mardi Gras, but it was either too far away or you were worried about the "unfriendly" family atmosphere that it can sometimes have associated with it - then DEFINITELY check out this festival! Usually held in February, these Mardi Gras festivals have everything from parades with all the beads you can catch (I suggest watching it from the Basin Hotel balcony!) to Fat Tuesday and even a Jazz Funeral with all the parties in between that a person can ever hope to go to! The Krew of Krazo's (that's Ozarks spelled backwards from what I am told) really put on a GREAT Mardi Gras! All the local residents have really embraced this festival and it continues to grow annually - I was very impressed with how well it was done. So if you want an authentic taste of Mardi Gras without going to New Orleans, give this one a try. I give it a BIG thumbs up! One thing I found while visiting is that when you are in the shops or staying at any of the hotels or B&B's - visit with the locals. They are all very friendly and eager to give you more insight into the hidden wonders of Eureka Springs, Arkansas. I have had several of them tell me that they started out as visitors themselves and fell in love with the town so they decided to stay. Honestly there are so many wonderful attractions and activities that there really isn't any way to cover all of them in one article. Plan on visiting more than once - each time you come back you'll find another hidden gem that you will wonder how you missed it the first time! I will be scheduling more visits and going into more detail on Eureka Springs later this year, so be sure and check back often for updates. I have lived here for going on 40 years and have loved every minute of it. The fun only gets bigger just as the parades and celebrations do every year. The other really important thing is for every two years you live here, you feel one year younger. Yes the math will catch up with you sooner or later but it sure is worth it until it does. Now don't tell a soul... it'll be our secret ! I live just North of Eureka and go there at least once a month! Love it there!